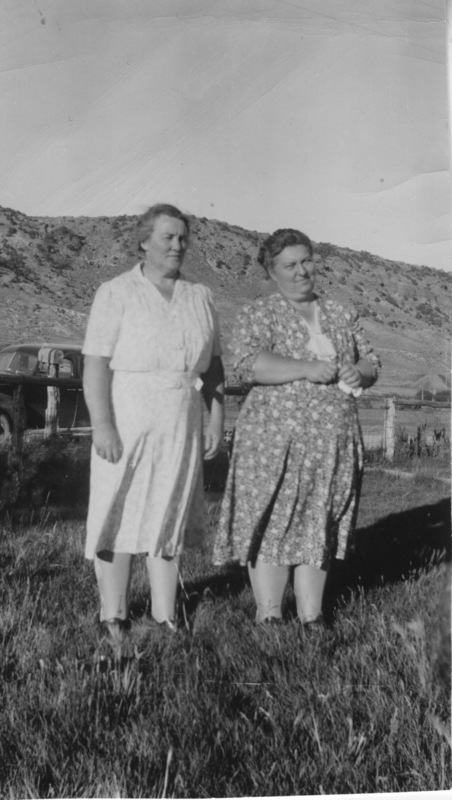 My granny and Great-Aunt Lue grew up on a dairy ranch just a couple of miles north of Evanston in Almy, Wyoming. As a consequence of all that rich, lovely cream and butter and whole milk, in addition to genetics, they were...er...hearty girls. Now, the Sims legs are legendary. Many of us - my cousins, my sister, my brother, and me - inherited them from these fine women and we often curse the shortness and the stockiness of them. 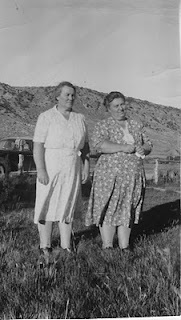 My sister, Doctor Jenni, sent me the above picture several years ago for Christmas with a little note about sisters and how she and I - and our legs - were destined to look like this. Let's get in a little closer, shall we? *warning* Graphic images of tankles/cankles ahead. May not be appropriate for young children and pregnant women. At the reunion last weekend, we were all sitting around browsing through my Aunt Mary's photo albums and each and every one of the pictures of my granny or Aunt Lue showed their poor feet mooshed inside too small shoes with their cankles cascading over the sides of them. Finally, adorable nephew, JR, spoke up and said to Doctor Jenni, "Aunt Jenni? Don't worry. If your cankles ever get that bad, we'll just get you a nice pair of comfy flip flops." And the image of Granny and Aunt Lue kicking around in their dresses, hats, and white gloves with hot pink flip flops on came into my head and I fell out. The times. Oh my! How they've changed.